is elated to Celebrate the Life of this Canadian woman leader that is devoting her life to the betterment of our youth, with a focus on the issue of proper care and expedient services for children and their families in the area of Mental Health. Leading the Charge for ‘mental health’ with her stellar leadership qualities, her passion for children’s health shows through her own words “Together, we will bring hope, optimism, and possibilities to the children and families we serve”. Donna Duncan is President and CEO of The Hincks-Dellcrest Centre, a large children’s mental health treatment, research and education centre serving the Greater Toronto Area, and a community affiliate of the University of Toronto’s faculties of medicine and social work. Prior to joining Hincks-Dellcrest, Donna spent more than 20 years working with municipal, provincial, federal and international governments and within the broader public sector. Donna has a particular interest in the interconnections among public policy, research, education and the delivery of mental health care, and is a strong proponent of collaborative models of service delivery. She has served on a variety of not-for-profit boards and has been a front-line volunteer in a number of hospitals. She holds a bachelor’s degree from the University of Toronto and a master’s degree from Wilfrid Laurier University. Donna is also recognized for her extensive background in governance, parliamentary procedure and process. She provided strategic government relations and constituency management advice to senior government officials, hospital CEOs, university presidents and deans, and college presidents. She has helped leaders achieve meaningful outcomes by helping them to develop strategic, sustainable relationships across their organizations and with government representatives, and by supporting them through decision-making cycles and processes. She has worked with the governing boards of provincially-funded organizations and government agencies in developing and supporting governance and accountability frameworks. Ms. Duncan joined the Board of Seneca College on September 1, 2011 and is currently serving as Vice-Chair. Donna has a B.A. (Hons) from Trinity College, University of Toronto and an M.A. from Wilfrid Laurier University. Donna Duncan of the Hincks Dellcrest Centre talks about building your own leadership kitchen cabinet, sharing her thoughts on Leadership. What is meant by “children’s mental health”? The term “children’s mental health” refers to children’s social, emotional, and behavioural well-being, and is considered an integral part of children’s healthy development. Just as with physical health, no one goes through life without some mental health problems. This is as true in childhood as it is in adulthood. Many such problems are a normal part of life. For the most part, we learn and grow from them. Sometimes, however, our normal ways of handling mental health problems in ourselves or our children are unsuccessful. When this happens, we find ourselves in need of assistance from persons with specialized knowledge and skill. Serious mental health problems in childhood can include serious depression, unmanageable behaviour, and an inability to get along with others. These problems can cause much stress and heartache to children, their families, their teachers, and the community. In addition, they often lead to even more serious mental health problems in adulthood. Counselling is advice that we receive from someone with special training to help us deal more effectively with our problems. 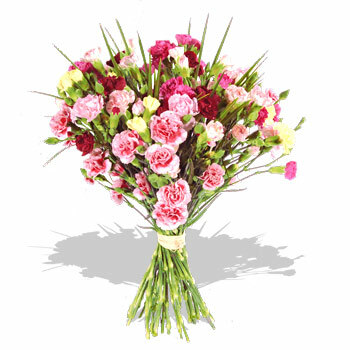 Counselling generally takes an educational approach and deals with conscious issues. It guides our current insight and understanding of a problem, and offers relevant new information that might help us to solve the problem. Mental health treatment is a series of planned interventions, sometimes intensive in nature, based on a detailed assessment of the factors that have produced and are maintaining a problem. The interventions are aimed at bringing about changes in thoughts, feelings, behaviours, and interactions that, in turn, can help us solve or alleviate our problems. The process of treatment includes attention to thoughts, feelings, and behaviour that may not be in our immediate awareness (i.e., may be subconscious or unconscious). It may include medications for problems that are partly biochemical in nature (e.g., serious depression). At the Hincks-Dellcrest Centre – Gail Appel Institute our mission is to build knowledge and capacity in children & families’ mental health through education and outreach. We offer advanced education to those who work with children and families in a variety of mental health professions. By inviting locally and internationally recognized leaders in the field of mental health, our goal is to provide the highest quality learning available. The Hincks-Dellcrest Centre – Gail Appel Institute was established in 1986 to respond to the challenge of improved mental health care for children, by providing advanced training, research and community consultation in the area of children’s mental health. Since that time the volume and scope of the Institute’s activities have grown significantly. The Institute’s training department now offers a range of educational opportunities to over 4,000 professionals annually in children’s mental health and related fields. The training is delivered in the form of workshops and seminars, certificate courses, and international conferences in collaboration with University of Toronto, Faculty of Social Work, Continuing Education Department, O.I.S.I.E., University of St. Thomas / Florida and Dalhousie University, Department of Social Work. Increasingly, the Institute is forming strategic alliances with universities and organisations in Canada, the United States and internationally. One of the primary activities of the Institute is knowledge creation; development and transfer.We accomplish this through our own research and evaluation initiatives, which create innovation through the expansion and extension of existing knowledge and theoretical models. By sharing this innovative work with other practitioners in the field through education, we improve practice, responsiveness and the quality and of services to the children and families. Another way of extending existing knowledge is by creating forums to bring together the cutting-edge thinkers, academics, researchers and practitioners to engage in spirited dialogue, encouraging a healthy questioning of taken-for-granted thinking and moving toward what is possible to know and do. To this end we have created conferences that promote fresh new ideas. Thinking that is so far ‘out-of-the-box‘, that it stands just beyond the cutting edge of innovation. What are some of the warning signs of mental illness in children? Question answered by Dr Marshall Korenblum, Chief Psychiatrist at the Hincks-Dellcrest Centre. Dr. Marshall Korenblum, a Hincks-Dellcrest psychiatrist, said the system is broken and needs fixing. 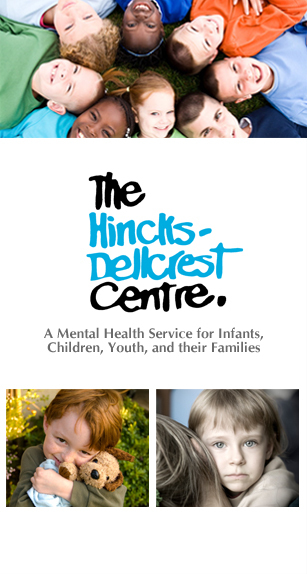 The Hincks-Dellcrest Centre is dedicated to promoting optimal social, emotional, and behavioural well-being in infants, children, youth, and their families, and to contributing to the achievement of healthy communities. Each year, more than 8,000 children and families are helped through a variety of prevention, early intervention, outpatient, and residential treatment programs. Tailored to each child’s needs, treatment at The Hincks-Dellcrest Centre may involve psychiatrists, psychologists, social workers, child and youth workers, or early childhood educators. We also work directly in the community, offering prevention and early intervention programs in the local neighbourhoods of the children and families we serve. The Hincks-Dellcrest Foundation supports the work of The Hincks-Dellcrest Centre, a children’s mental health treatment, research, and teaching centre. 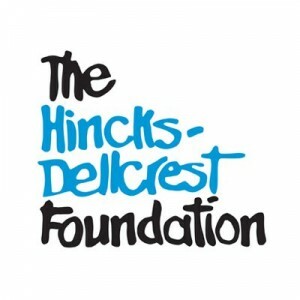 The Hincks-Dellcrest Foundation is the active fund development arm of The Hincks-Dellcrest Centre. Established in 1998, the Foundation provides financial support beyond funding provided by government sources for core client services. With a focus on fundraising innovative service, research, and education activities, the Foundation funds many projects that go on to become government-supported programs once established. Our Charitable Registration Number is 89449-2487-RR0001. Parents and teachers often have questions about the behaviour of children and adolescents. They may worry about whether a behaviour is appropriate for a particular age or developmental stage, or a sign that something might be wrong. They may wonder why it is occurring, and how best to respond. 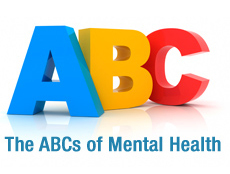 The ABCs of Mental Health provides two free, web-based Resources – one for teachers and one for parents – to help answer these questions. The Resources include ideas for promoting the mental health of children and adolescents, information about how children change as they get older, descriptions of behaviours that might indicate a problem, and practical suggestions for steps to take. With wait times for children’s mental health stretching as long as a year and a health care system that is fragmented and difficult to navigate, the Hincks-Dellcrest Centre is looking to find ways to streamline the process. The organization, which has treatment centres on Jarvis Street downtown and at Sheppard and Leslie streets in North York, is embarking on a clinical transformation that aims to make access to services easier and place a greater focus on those who use its services. “We’re rebuilding our entire service around what the kids and families we work with need,” said Hincks-Dellcrest president and CEO Donna Duncan. The rebuild is in its early stages, with details to be worked out through discussions and collaborations with families to determine the best ways to provide support. “We’re not basing it around research projects or government funding,” Duncan said. “There’s no clarity for parents on where they should go for help,” Duncan acknowledged. She pointed out that there are over 60 agencies in Toronto alone that receive children’s mental health funding from the Ministry of Child Services, which does not include those that receive their funding from the Ministry of Health. Of the 60-plus organizations being funded by the Ministry of Child Services, only three have actual psychiatrists on staff and many provide vastly different services, leading to challenges for families looking for the right support for their children. “Some people have the theory that any door is the right door, but there’s no clarity as to what you’re looking for,” Duncan said. 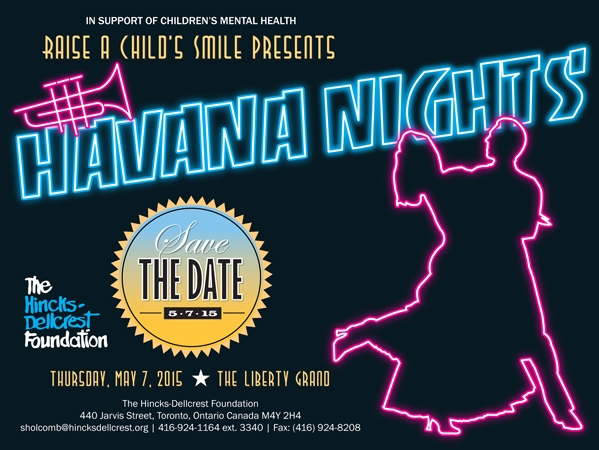 The Hincks-Dellcrest Centre will hold its annual fundraising event, Havana Nights, which invites young professionals out to a gala event to raise money and awareness for children’s mental health. Listed Above. ■ … “There is anticipation and transformation in the air as, at all levels of government and in households across Canada, we see growing recognition of the need to invest in children’s mental health. Ontario’s Action Plan for Health Care identified children’s mental health as a priority, expressing that early investment is the key to having maximum impact on children and families. The Drummond Report emphasized the need to coordinate a fragmented mental health care system, noting that ripple effects from mental health costs are felt in the justice, education, and social services sectors. And initiatives like Bell Let’s Talk Day are uniting Canadians in raising awareness and encouraging dialogue about mental health. We welcome these initiatives and expressions of support in a sector that has been long overlooked. At The Hincks-Dellcrest Centre, our focus is internal as well as external, with much attention over the past year focused on ensuring that we are engaged in the most effective and accountable business practices. New procurement policies are in place throughout Hincks-Dellcrest, with even greater efficiencies resulting from the new practice of sharing procurement activities with other organizations. These activities underscore our commitment that every dollar – individual and corporate donations as well as government funding – be used as efficiently as possible to directly enhance services and supports. Much of our work is currently focused in areas where we are or can be leaders, a key objective set out in our 2011-2016 strategic plan. Quality improvement, internal and external collaboration, and clarification of our mandate are key factors as we analyze the optimum form and structure of our work. Our ultimate goal is to maximize client access to the myriad of programs offered throughout Hincks-Dellcrest. Partnerships are increasingly important as we strategically align with other organizations to provide clearer pathways to service for children and families. A partnership with Centre francophone de Toronto to combine recent funding allocations for French language services will create an innovative, collaborative program and single ccess point for French language services. Hincks-Dellcrest has also been successful in working with a number of other organizations to secure funding for research and evaluation projects. The Etobicoke Children’s Centre is leading a project with The Hincks-Dellcrest Centre, The George Hull Centre, and the Griffin Centre to develop an evidence-based and cost-effective process of measuring client satisfaction. Hincks-Dellcrest also successfully partnered with ROCK (Reach Out Centre for Kids) in Halton Region to secure funding to research and prepare a policy ready paper on brief therapy. In the coming months and years, we will continue our focus on both internal processes and external partnerships. Ultimately we will provide seamless services to children and families, when and where they need them, as they get the help they need across the continuum of care. 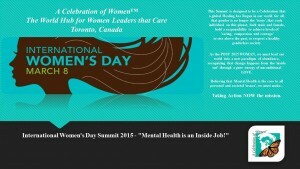 We are also excited to announce that Mental Health Expert, Donna Duncan, President & CEO of Hincks Dellcrest is on board as an esteemed Keynote Evening Speaker this year at The International Women’s Day Summit 2015 ( #IWD2015 ) – MARCH 8, 2015, sharing critical information about today’s mental health issues being faced by society today. This conference titled: The POST 2015 WOMAN: Mental Health is an Inside Job! will focus on the mission to remove all Stigma about mental health, in hope of improving engagement and services through social awareness. Social Media Event page HERE. welcomes this powerhouse into our global alumni with open arms, looking forward to future collaborations, bettering the lives of all children, focusing on the challenge of servicing their needs inthe Mental Health sector.